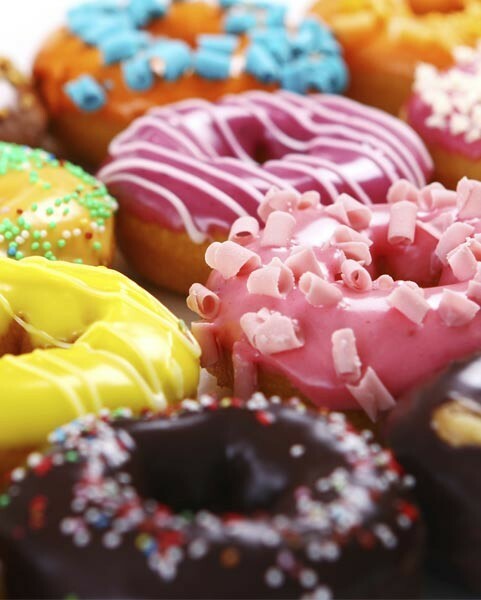 Every year, Americans eat a lot of donuts. The exact number, according to sources in the baking industry, is shrouded in doughy, deep-fried mystery—but it’s likely in the tens of billions. And is it any wonder? Donuts make it acceptable to essentially eat cake for breakfast without judgement! Of course we love them. There’s even a national holiday surrounding these treasures. June 3 is National Donut Day, and as with all holidays, we plan to celebrate it with craft beer. Each region of the U.S. has put its own spin on the classic donut, so of course we found a local beer to pair each variation with. Which donut and beer combination will you celebrate with this year? Churros are said to have originated from Spain or Portugal, but are a popular breakfast, snack and dessert in the American Southwest. The long, star-shaped tube of dough goes straight from the fryer into a bath of cinnamon and sugar, resulting in a sweet, crunchy delight. Churros are often served alongside bold coffee, hot chocolate or champurrado, a hot Mexican drink with chocolate, anise, vanilla and cinnamon. That’s the inspiration for our recommendation of a spice beer, which has similar flavors including cinnamon, ginger, nutmeg and clove. The combination of herbs and spices from the beer will complement the fried dough and cinnamon. Early Portuguese settlers brought these small balls of yeast dough to Hawaii. Traditional malasadas are simply coated with granulated sugar, but modern-day twists are often filled with tropical flavors like guava and coconut. A wheat beer, with its light to medium body, is going to be mild enough to not overpower the dough. The breadiness of the beer balances nicely with the sweet fillings. This deep-fried Italian dough ball is usually covered with powdered sugar and often filled with jelly, custard or cannoli-style cream. To match intensities with that rich ricotta or mascarpone filling, reach for a Belgian-style tripel. The subdued bitterness from the beer is going to fall right in line with the slight tanginess from the ricotta, but the sweet finish is enough to balance it out. French colonists brought these pillowy fried treats, made either of choux pastry or yeast, to New Orleans as a common breakfast option. They’re served fresh, hot and completely drenched in powdered sugar, with some variations including banana or plantain. Since they’re traditionally served alongside chicory coffee, reach for acoffee beer with those same roasty, bitter notes. Seeing as Chicago has the largest Polish community outside of Warsaw, it’s no wonder that every Fat Thursdaythe city has lines out of bakery doors waiting for these donuts. Popular throughout the Midwest, these dense yet puffy treats are commonly filled with fruity jellies like prune, apricot, raspberry, strawberry, apple and cherry. Enhance the sweet, vibrant fruit flavors with a fruit beer. Low malt character and little hop presence let the delicate dough shine through. Native Americans traditionally make this yeast-raised fry bread, or assaleeak, that’s deep fried in fat, shortening or vegetable oil. The circular bread is dense and often served with a drizzle of honey. A full-bodied, complex barley wine is going to cut through the denseness, while the beers’ caramel sweetness will be emphasized by the bread’s own sweet side. Chef Dominque Ansel created a croissant-doughnut hybrid that brought the masses flocking to his New York City bakery, waiting in lines for hours and even sparking a black market of sorts. These flaky treats are fried in grapeseed oil, injected with cream, rolled in sugar and glazed. Match those delicate, airy layers with a softly-malted saison. The beer’s natural light earthiness and mild tartness will amp up the buttery goodness from the dessert. In New England, fall means those beautiful changing colors on the trees and, for many, apple cider donuts. Cider goes into the batter along with nutmeg and cinnamon to create a moist, sweet donut. The full body and silky texture of an imperial stout falls right in line with this donut. Notes of burnt caramel are a perfect complement to the apple flavors, while the coffee and oak character works nicely with the donut’s spices. Fastnachts are a German pre-Lenten donut, most popularly eaten on Shrove Tuesday in Pennsylvania. Unlike the other donuts on this list, these are made with potato starch or even with mashed potatoes mixed into the batter. Because of that, they’re very hearty and dense, and a perfect textural accompaniment to a full-bodied and grainy Oatmeal Stout. The nutty, roasty flavors and sweetness from the oats can lighten up the heaviness of the potato dough. You’ve heard the saying: Everything’s bigger in Texas. And the donuts aren’t immune. Round Rock Donuts is famous for its massive yeast-risen donuts, which have a hint of yellow from farm-fresh eggs in the light, airy, and buttery dough. Weighing in at about two pounds and commonly photographed next to diners’ heads for scale, they are covered in a sweet, creamy glaze that’s going to feel right at home with a Cream Ale. The flavors of biscuit from the beer will shine light on the dough, but since it’s a light and crisp brew, it won’t make for an overly sweet experience. This iconic dessert was declared the official doughnut of Massachusetts in 2003. The light, sweet dough is filled with a vanilla custard and smothered with a layer of thick, dark chocolate frosting. The citrus notes from a Pale Ale are a tantalizing contradiction to that chocolate topping. The hops play up any bittersweet notes from the dark chocolate and tang from the custard. Overall, a Pale Ale can tone down the sweetness and refresh the palate.